Tension? Over stressed muscles? Look no further with this treatment. The therapist focuses on tight and contracted areas, reaching with a firm pressure of the thumb or the elbow the deepest muscle layers and allowing your body to unwind and retrieve its full mobility. 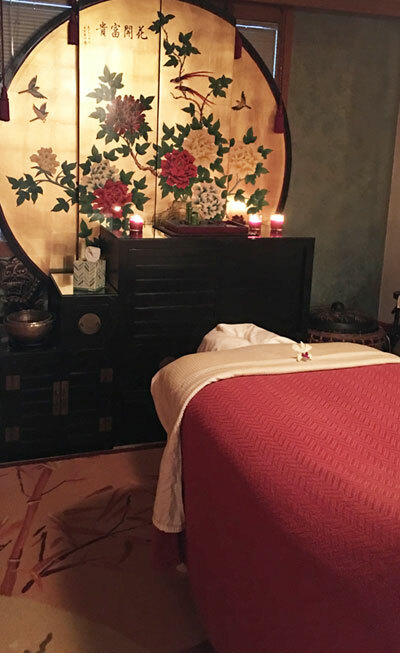 Offer yourselves a pampering experience that will leave you starry-eyed and reconnected with your significant other. Enjoy it with your best friend or a mother-daughter duo! 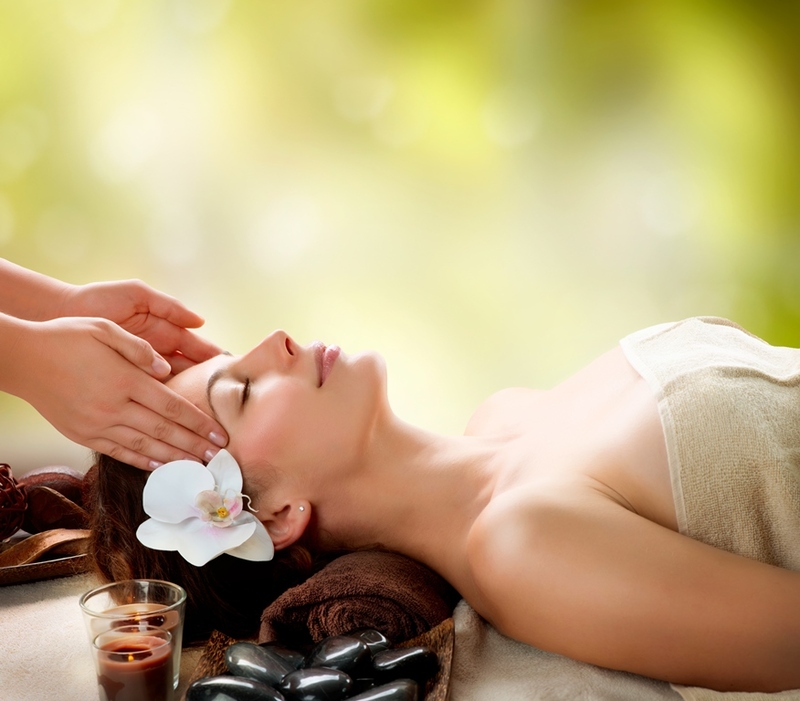 Increase the relaxation by adding on our aromatherapy service. Lying comfortably on your side, patterned by pillows, the therapist helps you alleviate backaches, stiff neck, headaches, heavy legs and let’s not forget about those swollen ankles, feet and all those puffy toes. A wonderful complementary choice for the moms-to-be. More than a foot massage, reflexology stimulates points on the foot corresponding to body parts and organs, sensitivity indicating a blockage in the energy pathways or weak organs. 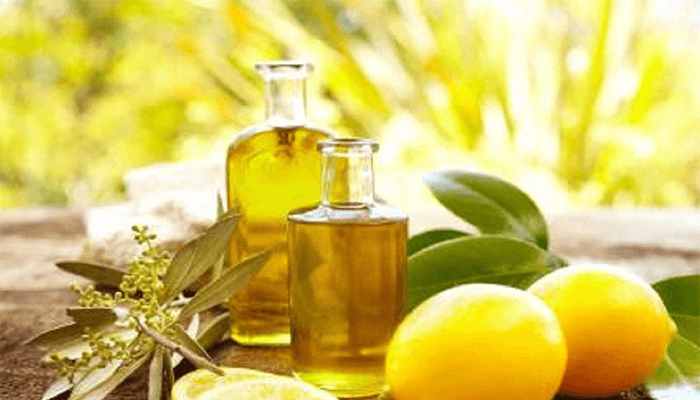 **Increase the relaxation by adding on our aromatherapy service. Treat yourself to an all around intuitive massage where we listen to what your body needs while we choose the best therapy as we go. 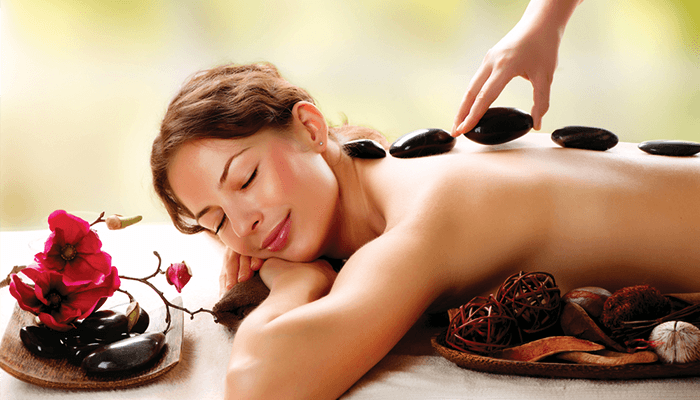 This massage is to release, relax and rejuvenate your body and minds “ah-relief”. Chronic pains and physiological conditions can be alleviated step by step to help the body recover from scar tissue, sprains or traumatized tendons. Let us help guide you in releasing the chronic pain to restore your vitality back. This gentle, non-invasive form of bodywork restores the natural freedom to the fascia memory system to improve movement of ligaments, tendons, muscles and can decrease stress as well as providing relief from migraines, eye strain, neck, TMJ, back pain or pain from any major accident trauma. Enjoy true freedom of movement today! Chronic muscular pains and postural distortions are caused by structural and functional imbalances. The therapist will help you improve muscular strength normalization and regain physical symmetry. 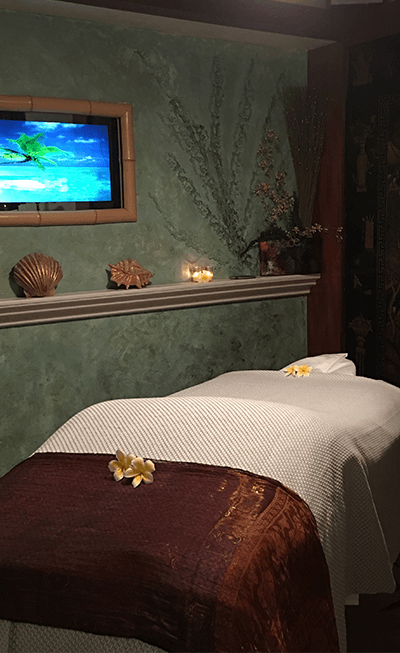 Enjoy this traditional loving Hawaiian style therapy to help you reconnect with your body and mind. From long forearm strokes and gentle kneading, discover the “Sacred Touch of Aloha”. Re-balance your physical and emotion body with this treatment that grounds and de-stress’s you while the pure grade of therapeutic essential oil bath you in pure bliss. Ah! refreshing. Om! Check out our Pure Grade Oil selection too. Anxiety can often lead to a feeling of “knot” in the stomach! The soothing effect of abdominal massage can help alleviate those symptoms, as well as release deep muscle spasms, tensions causing lower back pain, pelvic floor pressure, intestinal distress or scar tissue from new or old injuries. Ask today for a solution and get relief! It is a soft manipulation that aids your body’s ability to release restrictions and unhealthy compensations that cause pain and dysfunction. The treatment is a gentle compression, mobilization and elongation of soft tissues. This treatment supports release of soft tissue from accidents. For our more modest customers, this manipulation will help you clear your mind and open your horizons! Not to mention put a relaxing smile on your face. Treat yourself to what you deserve. Enjoy the trained hands who will bring peace back into your body, mind and soul. Add aroma oil for an extra special treat! Enjoy the Hawaiian experience of soothing sacred energy. 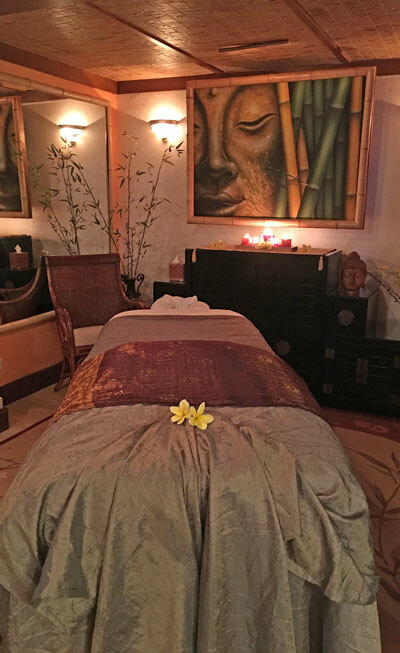 Hot stone “Pohaku Wela” massage melts away your sore stiff, tense muscles just like the Kahuna Medicine men of ancient time. The penetrating warmth reach deep within your muscle and soul. Feel the release improved circulation and renewed life energy “Manu” into all your cells. – All stones are chosen through prayer from the Big Island to help support you on your sacred journey of life. 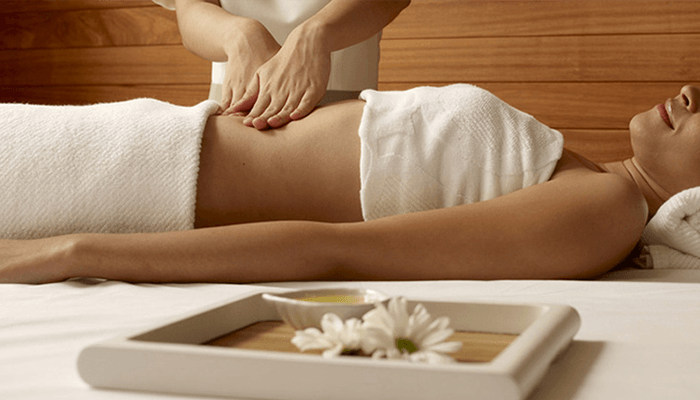 Tranquil full body relaxation massage to release – relax – renew your mind, body and spirit. Feel the melting away of the day and releasing into a relax bliss of renew peace “Aloha”. Insurance accepted only. Workman comp and no fault. This massage is used to balance out the source of pain, swelling and discomforts caused by traumatic events from work, sports and other life accidents. By incorporating a variety of techniques such as Crainal Sacral Therapy, Myofascial Release Somatics, Deep Tissue, Hydro Therapy, Infa Red Neuromuscular, Lympathic Drainage, Soft Tissue Release, Mobilization Release, and Trigger Point Relaxation techniques they all work together to bring the body back to balance and free up restrictions within the body connective tissue and muscles ability to restore ease of movement and range of motions with decreased pain. Learn more about our Nutritional Evaluation, Family Lineage, Heavy Metal Testing and VIP Consultations.